The toxic debate leading up to the Brexit vote has sharpened the risk that NHS staff and patients experience racial & xenophobic abuse - and highlighted the problems that are already there. How should those running the NHS respond? The imagery and language on immigration used by Nigel Farage, Boris Johnson, Michael Gove and others has made the unspeakable acceptable. This is raises several big challenges for the NHS. The NHS would collapse overnight without the contribution of EU and Black and minority ethnic workers. Anyone who thinks otherwise is living in cloud cuckoo land – including any minister who thinks the immigration status of these staff should be a bargaining chip in EU negotiations. There are 110,000 EU workers in our health and care system. 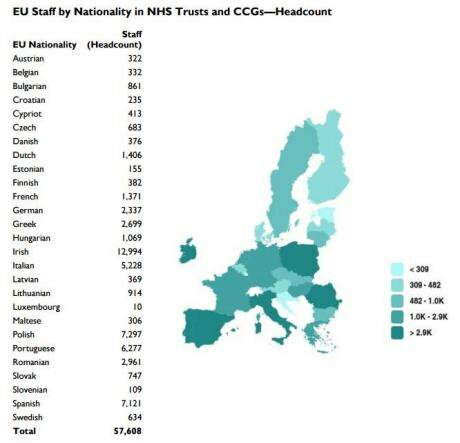 Ten per cent of our doctors, and more than 20,000 NHS nurses, are from another EU country. 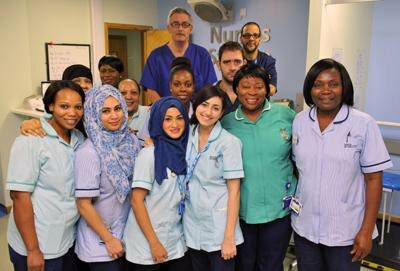 Well over 200,000 staff in the NHS (a third of doctors and a fifth of nurses and midwives) are from Black and Minority Ethnic backgrounds. The NHS is the largest employer of Black and Minority Ethnic staff in the UK. But racism in Britain has deep roots. A generation of Irish nurses were poorly treated. The MacPherson Report demonstrated how deeply race discrimination had become embedded in the culture of public services. Staff are discriminated against in appointments, in disciplinary action, in bullying, are less well treated when they raise concerns, wait longer to be promoted, and do less well on discretionary pay. The evidence is clear from NHS workforce data and staff survey data consistently show that BME – but until recently, concerns were greeted with wilful blindness. The NHS has a poor track record in tackling other forms of discrimination, too. Disabled staff and LGBT staff suffer high levels of bullying, for example. Women are still seriously under-represented in more senior posts. Yet the evidence is now clear that discrimination, and especially discrimination against BME staff, impacts adversely on patient experience and care. Most race discrimination in the NHS is subtle. It is well hidden, or the unintended consequence of stereotypes, bias and a culture where injustice is difficult to challenge. Understanding individual experiences is crucial. Often black and minority ethnic staff bottle up their response because to sharing it is seen as unsafe and threatening – both for them and for those who hold power at team, division, profession and organisational level. But the toxicity of the Referendum campaign has now helped legitimise more overt forms of racism. Racist graffiti has appeared on NHS premises. We’ve heard anecdotally of an increase in patients wanting to only see a white, ‘British’ member of staff. Patients demanding healthcare from a healthcare worker of a particular ethnicity has been unusual in the NHS. "The collective failure of an organisation to provide an appropriate and professional service to people because of their colour, culture, or ethnic origin. It can be seen or detected in processes, attitudes and behaviour which amount to discrimination through unwitting prejudice, ignorance, thoughtlessness and racist stereotyping which disadvantage minority ethnic people." Days after the Referendum result, a Leicester Musculoskeletal Radiologist Dr Ali Abbasi ‏tweeted “@drmaliabbasi Last night a Sikh radiographer colleague of mine was told by a patient "shouldn't you be on a plane back to Pakistan? we voted you out”. Sometimes these issues are not easy to tackle. When my dad’s care home called us some years ago to say he had racially insulted a member of staff we were astonished. He was a life-long opponent of discrimination in all its forms. His dementia had first caused him to start swearing, something he had never done in his entire life, and then this. We spoke at length with dad, and repeatedly, explained it was not acceptable and must stop. It did. To this day I still cannot understand what happened. Sometimes the racism is overt and violent. Last year a patient who subjected two healthcare assistants to racial and homophobic abuse was fined, after a prosecution brought by NHS Protect’s Legal Protection Unit (LPU), after the police stated that they were unwilling to take further action. (The LPU advises health bodies on a wide range of sanctions that can be taken against those who assault, harass and abuse NHS workers). In 2013, recorded racist verbal and physical attacks against those working in the NHS were on the rise, according to a Freedom of Information request by BBC radio 5 Live. Their investigation found that; the number of such attacks in the NHS had risen 65% since 2008 with a total of 567 racist incidents, though I suspect there may be significant under reporting. The large-scale 2015 NHS staff survey (and previous years’ surveys are similar) shows that White and BME staff were equally likely to experience harassment, bullying or abuse from patients, relatives or the public in last 12 months, but BME staff were more likely (25%) to report experiencing harassment, bullying or abuse from staff in the previous 12 months compared to white staff (22%). BME staff were more likely (14%) to experience physical violence from patients, relatives or the public in last 12 months than White staff (12%) and more likely (3%) to report experiencing physical violence from staff in last 12 months than white staff (1%). The survey figures show that in fact BME staff are more likely to experience harassment, abuse, bullying and violence from fellow staff than they are from the public. And any bullying of staff impacts on patient care, making effective teamwork hard and making staff more reluctant to raise concerns or admit mistakes. The risk of the post EU Referendum toxicity is that discrimination may rise despite the fact that NHS employers, on the whole, were quick to react to Brexit, understanding the risk of alienating their workforces. The ringing of bells by the Leave campaign and the wringing of hands by the Remain supporters does nothing to prevent the potential undermining of EU and BME staff within the NHS. Since 2015 the mandatory Workforce Race Equality Standard has produced data that validates the belief of injustice and the pain already experienced by many BME staff. And the Standard has obliged (or helped) organisations to hold a mirror to themselves and requires organisation to improve the treatment of their BME staff. So here are a few suggestions for anyone in managerial, governance or leadership roles in the NHS. Good trusts have already actioned some of these points. All staff should be informed about the evidence of the positive contribution that EU and BME staff make to the NHS. All managers should be informed and confident to tackle the issue, and trade unions must be involved. A good start would be this excellent blog on EU staff. Create a safe space for discussion but not for tolerating racism. Allow staff to raise difficult issues and ask questions troubling them, in a way that effectively challenges prejudice. Leaders should meet EU staff and BME staff directly affected, as the best ones already have, to listen to their concerns and their ideas for responding to this challenge – and offer practical support. Underline the principle of zero tolerance for racist behaviour of any kind, whether from patients or staff. This may not always be easy - for example where unwell patients are abusive – but think through how to respond in line with the principle of zero tolerance, including whether patients can choose to be treated by white staff. Strongly encourage staff to formally report all instances of bullying, abuse, harassment or violence (from whatever source) as a health and safety incident (for example, using Datix) as well as through the HR department. Make clear that anyone seeking to prevent such reporting, or retaliating when staff do, will face disciplinary charges. Managers must model the behaviour they expect of others. Be proactive. Use staff survey data to identify hot spots of bullying, violence, and discrimination working with unions and staff networks to intervene proactively. Undertake full (not just sample) surveys to better understand such patterns. Bear in mind that there is extensive evidence of the less positive experiences of BME patients (and indeed other minority groups such as LGBT patients) and the NHS needs to ensure that is not worsened by the current climate too. Learn how the best organisations how they are tackling these issues – staff survey data will give a clue but beware tick box approaches focused solely on policies, procedures and training. Ensure there is a dedicated member of staff, working with unions and staff networks, who concerned staff can contact. Take advice from NHS Protect when necessary. Check out current advice to employers on what else they can do to support staff from the EU. Recognise that the current environment makes it even more important to engage fully with the NHS Workforce Race Equality Standard whose principles of fair treatment for all can be easily applied to EU staff. Tackling discrimination against BME (and EU) staff requires a determined effort to change workplace culture – something that will benefit all staff and all patients. Support calls for adequate funding for the NHS. An underfunded NHS, with growing queues for care and treatment, encourages some to blame “foreign” NHS users even if the contribution of “foreigners” to the NHS both as staff and as taxpayers outweighs their so-called “burden”. The collective effort of a hundred and more different nationalities within the NHS to care for our population is a living riposte to xenophobia. The NHS demonstrates, more clearly than anything else can, the positive contribution that staff – from all nationalities and all backgrounds - make to the national good.